RC series high precision recirculating chillers - Raya Scientific Co. Many industrial and scientific applications require powerful cooling to remove the mechanical or electrical heat produced in equipment, or the heat generated by an exothermic reaction, combined with high pressure flow for fast heat removal within restricted systems. The Grant RC recirculating chillers are ideal for these applications. Before water became an expensive commodity tap water was frequently used as a source of powerful, high pressure cooling. Unlike tap water, RC chillers provide a constant flow at a precise, repeatable temperature and can operate at temperatures as low as -10°C. They eliminate the use of mains water, minimise scaling and corrosion of the equipment being cooled. Moreover, alarms warn of any temperature or flow changes. 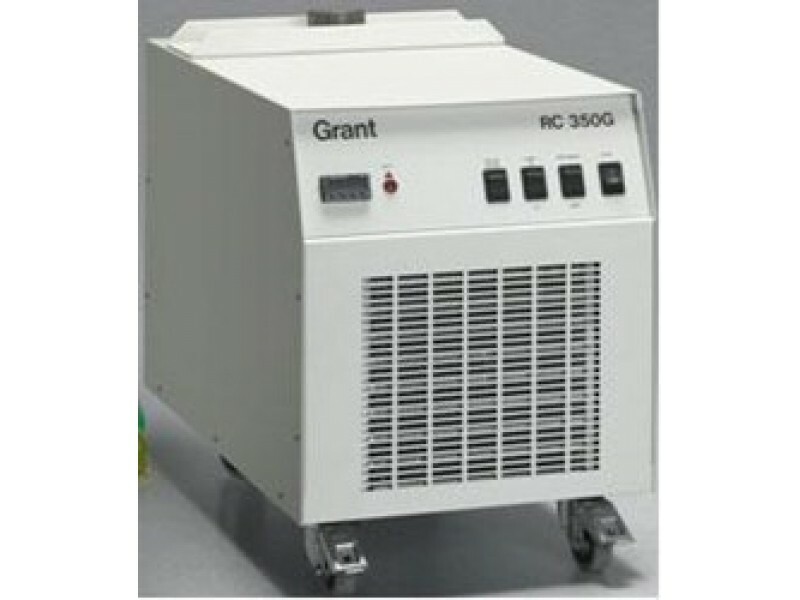 The Grant range of recirculating chillers comprises four models each consisting of a temperature control unit, small reservoir, refrigeration unit and circulating pump all housed in a single outer case. The RC series is suitable for both open and closed loop circulation. The four models in the series offer cooling capacities from 350 to 3000 Watts. Hundreds of units have been supplied to the inkjet printing sector, fibreoptic manufacture, engine testing, whisky chill filtration and the aerospace industry. We also offer customisation of these products or of any Grant refrigeration product to your exact requirements.